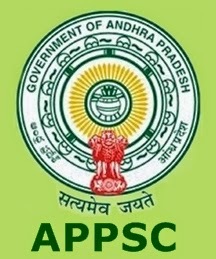 The Andhra Pradesh Public Services Commission has announced the Group-I Services Re-Main written examinations results provisionally qualified for Interview for 294 candidates for 152 posts, in pursuant to Notification Nos:15/2011 & 18/2011. The Interviews will be held from 22.01.2018 to 20.02.2018 at 10:30 AM to 05:00PM in all working days in the premises of Andhra Pradesh Public Service Commission, R & B Building, 2nd Floor, Opp. Indira Gandhi Municipal Complex , M.G Road, (Bandar Road), Vijayawada, Andhra Pradesh. The Individual Memo’s to the candidates qualified for interview will be sent in due course, and advised to all the candidates to touch with the APPPSC website i.e. psc.ap.gov.in in this regard. It is hereby notified that on the basis of the Main (Written) Re-Examination held from 14/09/2016 to 24/09/2016 FN at Hyderabad, Vijayawada, Visakhapatnam, and Tirupathi for Group-I Services (Limited & General) Recruitment vide Notification Nos: 15/2011 dated. 30.06.2011 & 18/2011 Dt.28.11.2011, the candidates with the following Register Numbers have been provisionally admitted for the ORAL TEST (Interview) in terms and conditions of Notification Nos.15/2011 & 18/2011 which will be held from 22/01/2018 to 20/02/2018 at ANDHRA PRADESH PUBLIC SERVICE COMMISSION, R&B BUILDING, 2nd FLOOR, M.G.ROAD (Bhander Road), OPPOSITE INDIRA GANDHI MUNICIPAL COMPLEX, VIJAYAWADA, PIN CODE – 520010. The exact dates of Oral Test (interview) for each candidate will be placed in Commission’s website shortly. Individual call letters will be sent to candidates in due course. A copy of this result can also be seen on the Commission’s Website: www.psc.ap.gov.in and also in the Commission’s Notice Board. Even, if the individual memo is not received through post, candidate can download the Memo, Check List, Attestation Form, etc. and appear the interview, Further details may be checked Commission’s website. The candidates who are provisionally qualified for interview (Oral Test) are required to produce the original Certificates at the time of verification of documents on the same day of interview, relating to Age, proof of age relaxation Qualifications, Study certificate, Integrated Community certificate in case reserved candidates, certificate of exclusion from Creamy layer in case of B.Cs from Revenue authorities in terms of G.O. Ms. No.3, Backward Classes Welfare (C-2) Department, dt.04/04/2006, P.H. certificate in case of disabled candidates etc., failing which, they will not be treated as eligible with reference to the particulars furnished by him/her in the Online application form / Certificates. The results of such candidate(s) shall be cancelled at any stage in the process of selection. The Commission has the right to disqualify any candidate, if he/she is not found eligible for any reason. In respect of posts of Deputy Superintendent of Police (Cat-2), Deputy Superintendent of Jails (Men), and Divisional Fire Officer (Men), (P.C.No’s.03, 04 & 05) the candidates have to undergo a Medical Examination before the competent Medical Board at Vishakhapatnam and also all the Disabled candidates have to undergo Medical Examination at respective Medical Boards. Selections and appointments made under these Notifications are as per the judgment of the Hon’ble Supreme Court in Civil Appeals 9140/2013 and 9141/2013 orders dated.07.10.2013. read with in I.A No.1/2016 in CONMT.PET. (C) D 26349/2015 in C.A No.9140/2013. Dated. 29.06.2016 and as per the Judgment of the Hon’ble High Court of A.P in W.P. No. 35392, 36544, 36549, 37000, 37007 of 2017 and 40464 of 2017, dated 11.12.2017. As a result, the Provisional list of qualified candidates for interview (Oral Test) to GroupI Service, dated 21.03.2017 stands cancelled in view of the Judgment of the Hon’ble High Court of A.P in W.P. No. 35392, 36544, 36549, 37000, 37007 of 2017 and 40464 of 2017, dated 11.12.2017.